Winter Halo has been destroyed, but the evil machinations are still in play. Ciara Dream is still seeking out a way to make Wraiths and Vampire’s immune to light, and she inches closer and closer to it. In a race against time Tiger and her friends hunt down Dream as she hunts them, working against enemies all around to stop the tide of darkness from sweeping over everyone. 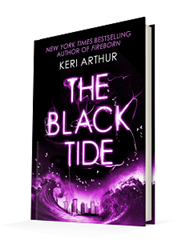 Published December 7, 2017, by Little, Brown Book Group The Black Tide by Keri Arthur is the final novel in the action-packed urban fantasy Outcast series. What a grand finale, absolutely riveting, Tiger remains an enigmatic character. She is a strong-willed woman who takes pride in her sexuality using it to her advantage. It is not limiting, vulgar or diminishing to her character but in fact, is empowering how she uses her sexuality the way she wants to. 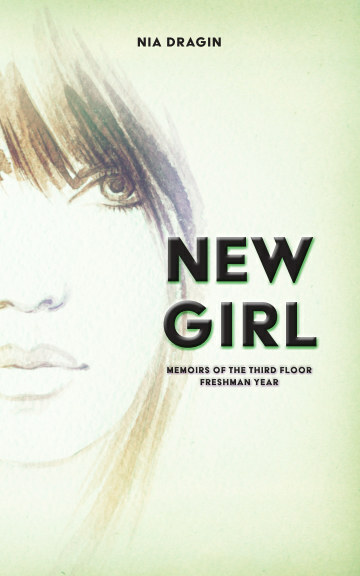 Tiger is empowering, but she is also perfectly balanced in the way that the author utilizes her softer side. She is kind, thoughtful, considerate while always remaining a powerful, formidable character. Even in the scenes where is she is weak and does not know how she is going to survive, she uses her brain, her wit, her cleverness in order to turn triumph. It is not without a challenge, creating excellent tension in the story. She never losses agency over her body never loses control over herself. That is what makes her such an empowering character and a compelling one as well. Tiger has a great personality and drive to keep the story moving forward. As a very action-packed story, the pace never falters. The momentum that follows Tiger around grips the reader, luring them in. The length of the book is quickly forgotten as the reader is sucked into the story and the character development. There is so much tension within the narrative, both external and internal as well as twists and turns that keep the reader glued to the edge of their seats. Don’t forget to follow me on Facebook | Instagram | Twitter | Tumblr | BookBub | LinkedIn to stay tuned for future reviews.